Description: Screen recorder for MorphOS. 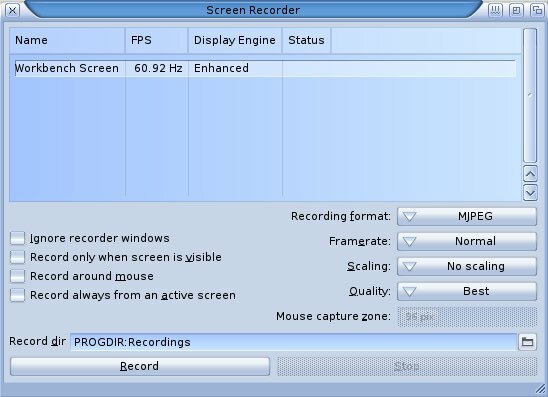 Screen recorder for OS2 and MorphOS. sizes are limited to 2GB. are still bugs which were not fixed please use my email at yahoo.